What Should Be Your Response To Employment Discharge? Your Termination day is the eighth installment in our "Learn What To Do If The Employer Is Setting You Up For Termination" series. In the last installment we talked about the "Employer Closing For The Kill". The employees termination day is coming soon and there are some critically important decisions the employee must make. Ideally the target for termination has over time equipped him/herself with sufficient documentation and evidence to prove the impending firing is not justified. Therefore, once the employer commits to "showing the employee the door" the next step is a lawsuit. Many employers before launching the actual day and time of firing an employee may offer some "mutual parting of the ways". These can be in the form of a severance or buyout package. 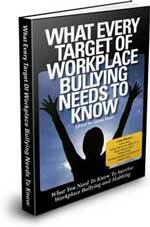 Consider when employees successfully defends their employee rights from unjust adverse employer attacks. These offers become what I call "buy you off" packages. The boss will try just about any and all tactics in his/her arsenal to get rid of the target. It's been noted that some employers won't schedule terminations in the late fall or early winter months. The logic behind this to show "compassion" for holidays like Thanksgiving and Christmas. At least that's the mindset in the U.S. These employers in their hypocrisy don't want you on their conscience while they celebrate with their families. However, if it's May thru the end of summer watch out! These are the months when many businesses and organizations lower the boom of termination. Likewise the particular day of the week from my experience and research will usually be Monday. However, if the termination involves something justifiable like theft, blatant insubordination, workplace violence, etc. the firing is instantaneous at any day or time. This essentially has been more fluid from my observations, experience and research. The most accepted time for firing employees absent spot terminations tends to be sometime after lunch. This typically will be after 12 pm or 1 pm. Now all that's left is for the target to return from lunch or report for work. For employees working 2nd and 3rd shift the above will be adjusted timewise to accommodate these non normal business hours. In my personal experience with getting fired I would say about 80% of the time it happened when I didn't expect it. You know it's coming and you live with that moment to moment everyday on the job. You leave at the end of every subsequent workday with a silent sense of relief. The manager or supervisor calls or says, "Yancey I need you to meet me in HR or in the department directors office". Alternately, as discussed earlier you will be directed to another area of the workplace away from co-workers and others. You walk in and are asked to close the door and have a seat. In the room there's usually your immediate supervisor, the department or division director and maybe an HR and EEO person. You see a nice neat set of forms on the desk and so it begins. Your mind begins to race, your pulse begins to quicken. The reality of the dreaded termination day is here. It is at this point everything we've talked about in this termination series comes to a climax. If you have laid the proper foundation to protect your employee rights the anxiety, fear and intimidation should be greatly diminished. In fact, since your employer knows that YOU KNOW your workplace rights his or her level of anxiety, fear and intimidation will usually be heightened. If your termination is not justified your boss is gambling you won't pursue a legal remedy and just go away. Here's where what we learned in the 5th Installment: "How To Tactics That Will Give You An Advantage" will be most effective. ---> What is the reason for my termination? ---> Who made the decision for my termination? ---> Is there and offer of severance? There are other relevant questions to ask which we should have already prepared for with our legal adviser. Routinely, the termination conversation will be started by the dept. director or manager. If not then your immediate supervisor. He/she will say your employment with the company or organization is ending. They may or may not give you a reason for letting you go. That's one of the best weapons employers use hiding behind "At Will". The one firing you may be nervous and their voice may crack some. You may be told the termination is performance related which was a part of the setup to begin with. Remember manipulation of job evaluations and performance reviews is an old employer trick. One giveaway that your employer may not be sure of their position will be if they again offer some severance or separation package. The alternative is to refuse the "buy you off" severance and look forward to a potentially long, stressful and expensive lawsuit. Or worse yet, just go away. With no guarantee of a successful outcome for the employee this choice has to be well thought out. I know because I've been there. The truth and learning my basic employee rights were key to my success. They will also be key to yours as well. However, going thru a lawsuit against your employer is something no employee should prefer. Unfortunately, there are times when no other alternative is available or feasible. That of course depends on whether the employee is willing to unjustly allow the employer to simply take away his or professional reputation and livelihood. So now we are at what's commonly called the "exit interview" by employers. This is where your boss wants you to relinquish any and all company owned materials, (card)keys, equipment, etc. 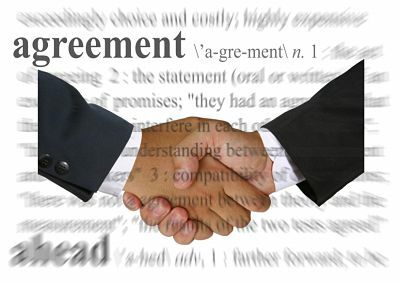 You will also be informed about abiding by any confidentiality agreements, non-compete, trademarks, copyrights, etc. you may have signed. You may be asked or intimidated into signing off on a "forced" severance or separation package. If this happens ask to call an attorney and review before signing. If the employer insists you "sign or else" and the or else is a threat of no severance or some other benefit here's a way around it. Most employees don't know that in most states in the U.S. there's at least a 24 hour grace period when signing these types of documents. What that means is you can "unsign" after taking the opportunity to consult with your attorney. You have made the well thought out decision that what's in you and your families best interest is to leave. However, that doesn't mean you quit. "Should You Accept A Severance Package"
Along with this "Prepare For Your Termination Day" page, my new sites provides the MOST current changes affecting career seekers and employees. Also, inside tips and tricks from real world situations. Some employers are constantly working to take away the rights of employees. Follow this link to EMPLOYEE RIGHTS GUIDE, EMPLOYEE WORKPLACE RIGHTS and EMPLOYEE RIGHTS QUESTIONS for the latest employee news you can use!